It’s almost that time of year again. Soon campuses across the country will be abuzz with new students and old students alike. For many, this is their first time on their own without parents to tell them what to do and when to do it. Many students relish the ability to throw a schedule out the window and taste that freedom that comes with being in charge of all your choices. While there is still some structure to their lives like when classes are held or when the meal hall is open, there are a lot of things that were once monitored that no longer seem important. Doing laundry, showering, and sleeping are three major tasks that fall to the wayside. This month, millions of teenagers across the country will make the transition from high school to college. And between living in a new environment and the new-found freedom to attend parties and other late-night activities, getting enough sleep can be a challenge, and even a health risk, experts say. According to the Centers for Disease Control and Prevention, not getting enough sleep can even contribute to chronic diseases such as diabetes, cardiovascular diseases, obesity and depression. According to a 2009 study, 43.7 percent of people aged 18 to 25 surveyed reported unintentionally falling asleep during the day at least once during the previous month. 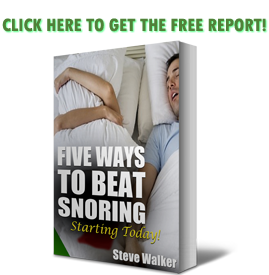 About 5 percent of people the same age reported nodding off or falling asleep while driving. 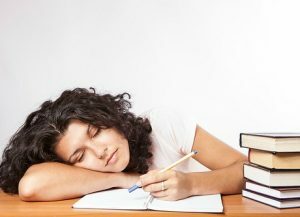 Dr. Imran Khawaja, a professor of internal medicine at the Marshall University Joan C. Edwards School of Medicine, said a lack of sleep can cause people to have a lack of attention, poor motivation and memory that can negatively affect a student’s grades. To get enough sleep, Khawaja recommends that students make a fixed sleep schedule for themselves and stick to it. They should set a fixed time to go to sleep and to wake up in the morning, he said. ‘Good sleep hygiene can start with a simple nighttime routine to wind down,’ she wrote. People should keep their cell phones, laptops and other electronics away from their bed when they’re trying to sleep. Looking at bright screens can keep people awake much the same way that bright light keeps a person awake in the day time, Khawaja said. In order to keep performing at peak mental and physical health sleep cannot be ignored. The problem comes when you have millions of teenagers that have to learn how to manage their own schedules for the first time in their lives. It’s not an easy process and some schools will have workshops and clinics on time management. It’s very important that new students take advantage of this. When school is done and they’re out in the working world their poor sleep habits may be harder to change. If they can nip it in the bud now, they should be doing everything they can to manage this very real, almost grown up, problem.